Do my parents and I have to come in to sign a lease? No! We do everything electronically, so you and your parents can sign everything from home. We are approximately 2 miles from the downtown campus, 0.5 miles from the Evansdale Campus, and 0.2 miles from the Health Science Campus. We offer free, private shuttle service to and from all three campuses. A guarantor is typically a parent or guardian who acts as a co-signor on the apartment. This means that if your rent is not paid by the 6th of the month, the guarantor will be charged. You don’t have to use a guarantor, but most of our residents do. With a guarantor, all you’re required to pay at lease signing is the $195.00 Activity Fee. Without a guarantor, you are Self-Guaranteeing, meaning you must pay your last 1 ½ rental installments up front. What lease terms does The Lofts offer? 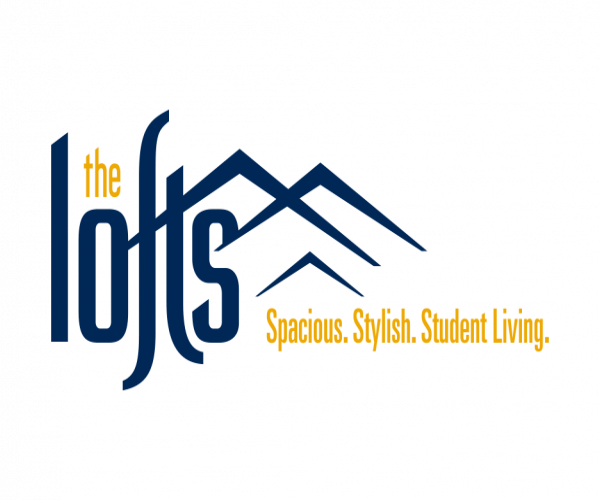 The Lofts offers "term leasing," which means your lease is offered to you in a lump sum and divided into 12 equal rental installments. Our standard lease term is 12 installments, beginning in August and ending the following July. For immediate or mid-year move-ins, your move-in/move-out dates are tailored to your specific needs and agreed upon prior to signing. If you're a current resident, please reference your lease to find information regarding the specific terms of your lease. If you have any questions regarding your lease please contact the knowledgeable staff at The Lofts 304-598-0001 & leasing.thelofts@pepshmgmt.com. Your mailing address is 5000 Station St., your apartment number, bedroom letter, Morgantown, WV 26508. Easy! Just log in to your resident portal, click on “Maintenance Request,” fill out the form provided, and submit. When completing your request form, please make sure you’re as detailed as possible so we can best serve you. Maintenance will respond within 24-48 hours, and will keep you updated until the situation is resolved. Who do I call after hours if there is an emergency? You can use our After Hours Emergency Maintenance number 304-470-7098 anytime. If you are in immediate physical danger, please call 911. Where do I pick up packages delivered to me? USPS, UPS, and Fedex deliver packages to The Lofts Clubhouse, and our friendly staff will store it for you in our mailroom and put a slip in your mailbox to let you know your package is waiting. Bring the slip with you when you come by the clubhouse, and we’ll retrieve your package. What size bedding should I purchase? The beds are Full XL, but Queen Size bedding will do the trick! Standard mattresses are provided on every bed. We recommend purchasing a mattress pad or topper if you need additional support. What are the window measurements? We are pet friendly! We allow dogs and cats 3 months and older. A $350 non refundable pet deposit, as well as an additional $35/month pet rent will be assessed per pet. All canine and feline breeds are welcome! We follow ADA guidelines for assistance and service animals. Maximum 2 pets per person or 3 pets total per apartment. We offer several fast, convenient ways to pay your rent. You can submit your payment 1) in person by bringing a check or money order into the clubhouse, 2) online through your resident portal via bank account, debit card, or credit card, or 3) over the phone with your banking information, debit card, or credit card. You can also set up for automatic recurring payments, which means your rent will be directly debited from a bank account you choose. Yes. A Termination Policy is in place for anyone looking to get out of their lease early. If you have 6 installments or more left on your lease, your replacement must take over the remainder of your lease. If you have 6 installments or less left on your lease, your replacement must take over the remainder of your lease, plus the following year. In either case, a Lofts leasing professional must approve your replacement before they can be allowed to take over your lease. Once a qualified replacement is found, you (the resident terminating the lease) must pay a $350.00 Termination Fee. All monies paid prior to terminating a lease are non-refundable. Yes, every resident gets one parking permit and there is visitor parking around the complex. No, but by paying in full you will avoid late fees!